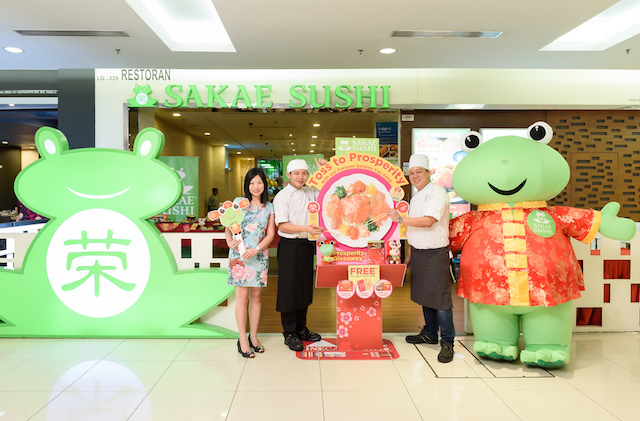 Sakae Sushi recently launched their latest 2016 Lunar New Year promotion. I couldn't make it for the event, but hey, here's a short sharing on what they have to offer. 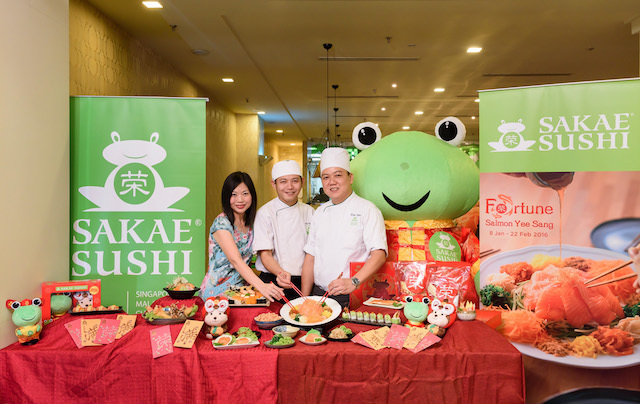 This year, Sakae Sushi has once again prepared a great variety of celebration dishes to tantalise taste buds and usher in prosperity. 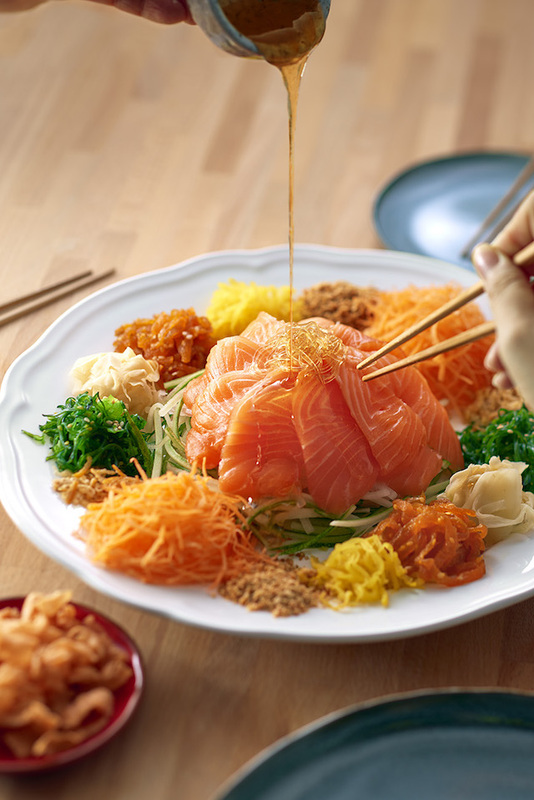 For the exciting 2016 Lunar New Year, toss to prosperity with Sakae Sushi’s Fortune Salmon Yee Sang. A tantalising Japanese-inspired take on the traditional yee sang dish, it is masterfully prepared by Sakae’s chefs using luscious and fresh air-flown salmon, accompanied with a variety of authentic Japanese ingredients such as seasoned jellyfish, Mekabu seaweed, radish and more. Sakae Sushi’s Fortune Salmon Yee Sang. Sakae’s delectable yee sang is then topped with a unique and appetising citrus-infused sauce, complementing perfectly with the fresh ingredients used to fully bring out the flavours of the dish. The Fortune Salmon Yee Sang is available in two sizes: Success Yee Sang which serves 2-3 pax priced at RM29.98 and Money Yee Sang which serves 6-8 pax priced at RM56.98 and both are available for dine-in and take away. "Year after year, our Fortune Yee Sang remains an all-time favourite among Malaysians and it’s easy to tell why. Compared to traditional Yee Sang dishes, it offers an exquisite healthier alternative prepared by our chefs using only the freshest ingredients. Another unique point is the refreshing citrus-infused sauce that is poured over the Yee Sang, which lends it an additional flavoursome edge.” Yew June, General Manager of Marketing for Sakae Sushi Malaysia shares. 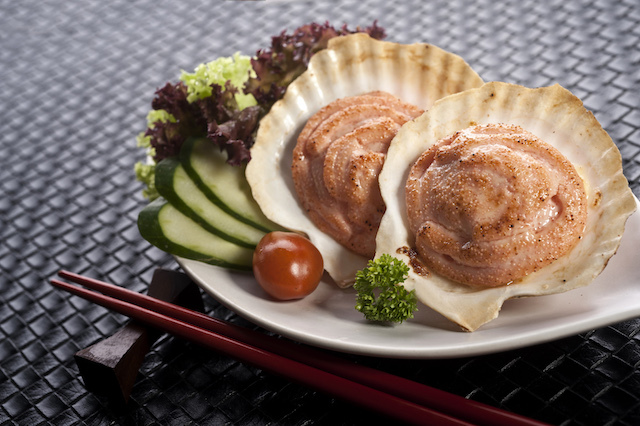 Diners can also customise the dish according to their personal preference with add-on items such as Salmon Sashimi, Seasoned Scallop, Jellyfish and Mekabu Seaweed – more appetising variety to satisfy different taste buds. 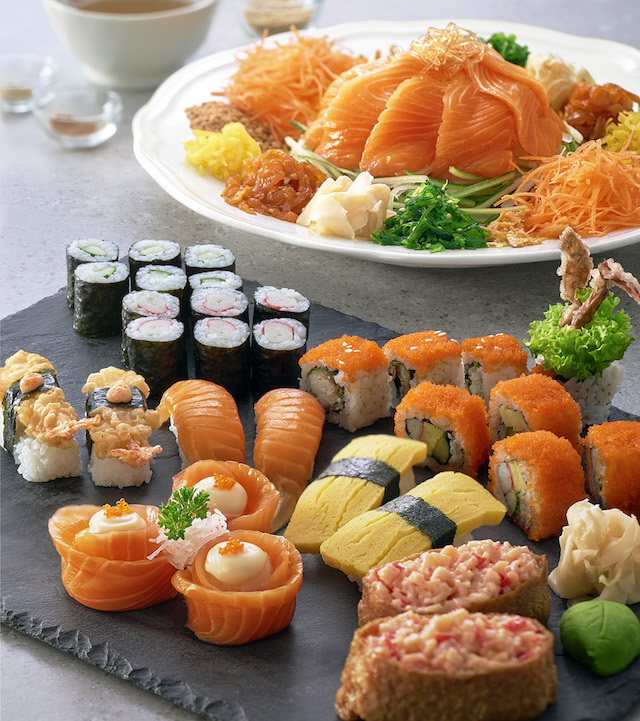 As a brand that prides in providing a fun-filled, quality and value for money dining experience, sushi lovers will be delighted with the brand new Happiness Treasures Combo priced at RM98 comprising both the Money Yee Sang and a sumptuous variety of mouth-watering sushi selections. This sushi set features a delectable variety of Sakae’s signature sushi favourites such as Hana Maki, California Hoso Maki, Salmon Sushi, Tamago Sushi, Soft Shell Crab Maki, Kani Salad Inari, Mini Ebi Tempura Sushi, Kappa Maki and Kani Maki. Another must-try for this year is the masterfully crafted Golden Abundance priced at RM49.90. 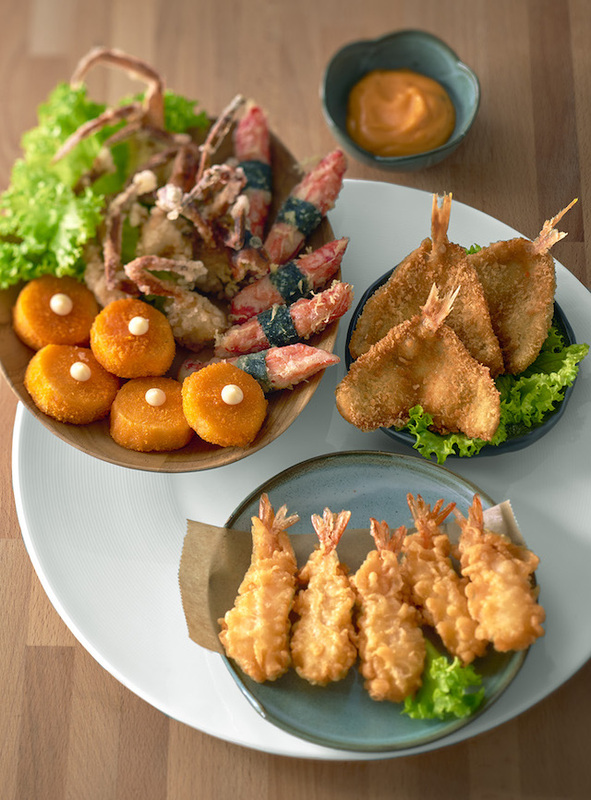 offerings (Soft Shell Crab, Mini Ebi Tempura, Itoyoridai Katsu, Fried Hotate and Tempura Kani) served with a tangy accompaniment of spicy mayonnaise. introduces an all-new Prosperity Giveaway, whereby diners will receive a special reward with just a minimum purchase of RM80. This includes their exclusive and attractively designed Sakae Limited Edition Angpows, RM8 prosperity voucher and a Prosperity Gift Card. With the Prosperity Gift Card, diners will stand a chance to win attractive prizes. Some of the prizes include a set of limited edition Fortune Rong Rong & Lucky Mon Mon plush toys or free food vouchers, or Sakae cash vouchers. Next up, Sakae will also be having a Pose for Prosperity contest from 18 January till 29 February 2016. All you have to do is snap a creative pose with our “Toss to Prosperity” Yee Sang standee located in front of Sakae Sushi outlets, upload it to their comment section of Sakae Sushi Malaysia’s Facebook contest post and the most creative photo stands a chance to win attractive cash prizes and more.